With comprehensive support for a full compliment of Bluetooth dictation devices, you no longer need to be leashed to a computer to instantaneously create secure digital documentation. Certified eSupport can give you the support you need to dictate from the comfort of your desk chair or anywhere. We offer support and services on the following dictation devices and more! The LFH3000, 3010, and 3020 all offer an ergonomic design with portability in mind. Choose from either push-button or slide-switch operation and watch as your words are instantly integrated into your speech-recognition software. 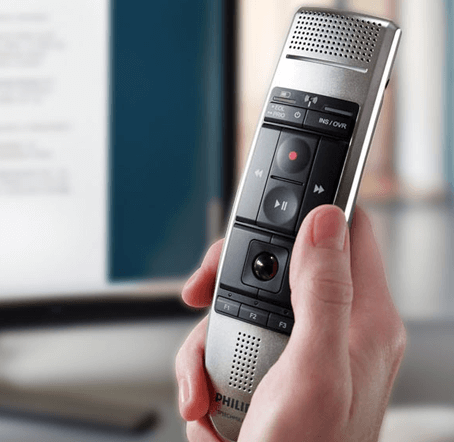 Philips is in the business of giving users choices when it comes to professional dictation devices that produce the highest sound quality recordings. The Philips SpeechMike Air lets you dictate from up to 33 feet away so all you have to do is speak and your voice will be found! 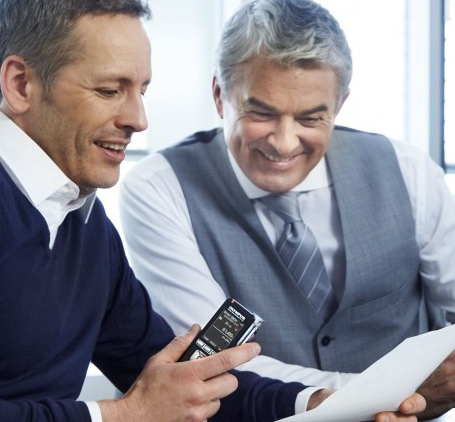 Truly a dictation device made for the busy professional on the go, the DS-7000 by Olympus gives users secure 256-bit encryption for dictated documentation. Dictate from anywhere at any time and, when you’re ready to upload, just park the DS-7000 or the DS-3500 on the docking station and see your words instantly transcribed, using your existing speech-recognition software. Both the DS-7000 and the DS-3500 have received the highest rating available from Nuance®, making it an easy choice for legal, medical, and professional users. Can Help You Solve Your Workflow Problems Going wireless is the obvious choice today for professionals on the go as, increasingly, you find yourself spending less time in the office and more time in the field. Certified eSupport helps you streamline your workflows and sets you free from the computer or your dedicated workstation by giving you the support options you need to cut the cords and go wireless.